If you’re losing hair, you need to take control of the situation as soon as possible. Our hair loss treatments allow you to do that. We put the power back in your hands through access to some of the finest hair loss doctors in the world. Strand-by-Strand®: We offer a 100% guarantee on this treatment. We invented this patented hair transplant procedure, and the natural-looking results are achieved by matching each new strand of hair to existing hair. Laser Therapy: We give you the power to regrow your own hair via a powerful combination of laser treatment, hair loss medication and a hair and scalp treatment program. The results are incredible, especially when paired with some of our other treatments. Advanced Hair Fibres: Our unique Keratin formulation thickens your hair instantly. Just brush the formula through your hair, and watch the Keratin fibres bond for an immediate hair loss treatment. 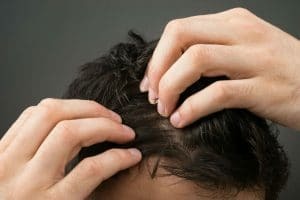 Advanced Singular Hair Grafting: There’s nothing worse than a rapidly receding hairline. Our hair grafting technique allows you to replace your hairline immediately. The natural-looking finished product also means you won’t have to field any questions about the procedure. Advanced Laser Therapy: 90% of our customers have been able to regrow their own hair with our patented laser techniques. We offer much more than a laser treatment, we combine it with an FDA approved regrowth pharmaceutical, and a proven scalp and follicle treatment program to deliver visible results in just three months. Strand-by-Strand®: This gives women the option to undergo a hair loss treatment without any scarring, pain or surgery. It works by replacing your hair exactly the way you lose it strand-by-strand. We invented this Advanced Hair Studio procedure, and we offer a 100% guarantee on it. You can look great again, with our low maintenance hair replacement. FlashPoints®: FlashPoints® hair extensions offer the most sophisticated hair extension in the world. They require no weaving, wax or glue so they won’t damage your existing hair. The best part is, they are reusable, and you can get them in a variety of colours, lengths and thicknesses. Hair and Scalp Fitness Range: This range consists of an Advanced Laser Helmet, Advanced Hair Clinic’s Hair Fitness range containing Serenoa and AHS-FP Antioxidant. It is an at-home treatment that will help you to regrow your own hair and maintain the health of your scalp. The secret ingredient is Serenoa, which prohibits the production of DHT and prevents hair loss. Stem Cell Hair Technology Factors: This revolutionary treatment can re-activate dormant hair follicles. It prevents further hair loss and promotes hair growth by plugging ‘Growth Factors’ into the hair follicles. Our hair loss treatments have helped over 500,000 people around the world. Take control of your hair loss today.